Our Grade-A foie gras comes from Moulard ducks, raised in low-stress open barns on a farm in New York State, recognized as a premier producer of high-quality foie gras. The ducks are never caged, and no antibiotics or hormones are administered. 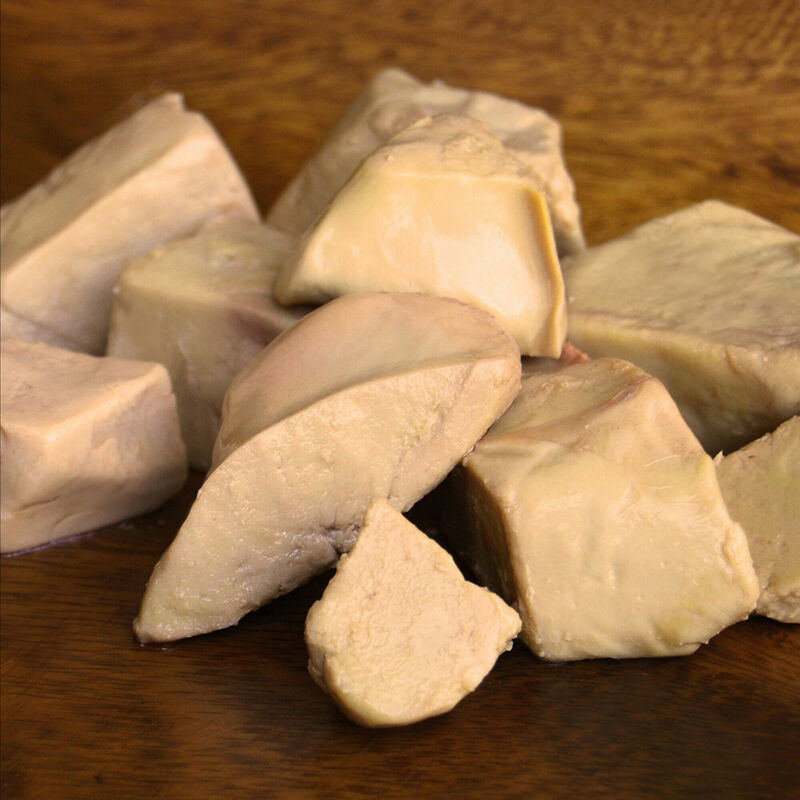 The trimmings and end pieces left from cutting medallions of foie gras, these cubes are of the same quality, and flavor as those prime cuts, for a fraction of the price.